RMM software is used for enterprise-level IT maintenance that brings the robust technology management capabilities of a large corporation to small and medium-sized businesses. RMM software is not only for managed service providers (MSPs). Corporate IT departments also benefit from using this innovative tool. Corporate IT departments that manage hundreds or thousands of computers need a tool to monitor those computers, automate basic maintenance functions, and facilitate efficient support. But an MSP, whatever the size, should have access to and benefit from these types of enterprise-grade tools, which is why they use an RMM tool in our client environments. The RMM tool has the capability to monitor the condition of the network and the devices registered in that software. It includes servers, desktops, laptops, firewalls, wireless access points, and more. So an RMM software should automatically alert your MSP if it detects common issues with your systems, such as low disk space, high RAM or CPU usage, or internet service outages. IT experts use RMM tool because it is a great tool for proactive maintenance since they give your MSP a heads up on common issues. It results in reducing downtime and the resulting cost in lost productivity. An RMM tool also gives your MSP the tools to accomplish more tasks remotely provided that he has a stable Internet connection. When a user contacts the MSP center, a technician can use an RMM tool to access the user’s computer remotely and address the issue, without having to come onsite. While some issues are still more efficiently handled onsite, the RMM tool will serve as your primary aid to lessen the impact of any breaches. It is a faster approach instead of waiting for a technician to come at night when things went out of hand. And beyond the remote access, RMMs also provide technicians with valuable information about individual machines and entire networks with the click of a button. It can render analytics about certain endpoints making the service delivery process quicker and more efficient. The “management” capacity of an RMM tool provides high value as well. Various maintenance tasks, such as applying patches and updates to operating systems and key software, can be automated within RMM tools. This saves your MSP valuable time, which also means cost savings for you. But, more importantly, patches and updates can be scheduled and applied systematically at advantageous times (usually after hours). It only means fewer chances that you will experience downtime. 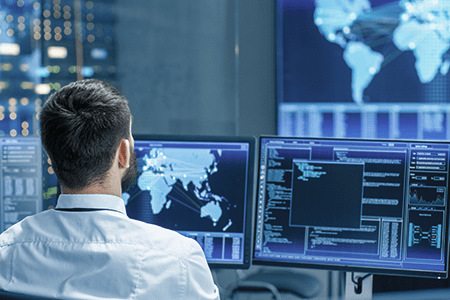 Many RMMs work closely with antivirus software as well, allowing your MSP to consistently apply critical updates that expand antivirus tools’ knowledge of current threats. So not only can RMMs boost productivity and reduce cost, but also increase security as well. What is Remote Monitoring and Management Software Price? 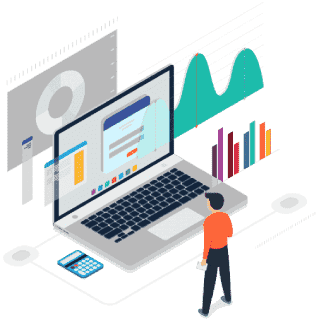 With the numerous valuable benefits that an RMM tool can provide Managed Service Providers offer RMM services using a subscription-based model. It is a fixed monthly rate that includes all of the agreed services that the client wants to avail. It is offered in tiered packages priced at progressive levels. The prices are determined by how many devices or users are benefiting from the RMM software services. The flexibility of the pricing allows clients to choose specific packages that work best for them. For example, if the MSP needs to go to the client’s site, it requires extra fees. The MSPs take in charge in helping the client with how much they can afford. A 360-degree protection is a perfect approach to maintain an IT interface but clients also have a limited budget. Hence, MSPs should still consider their client’s budget. This charges clients a fixed price for managed services based on either the number of devices or the number of users in a given environment. What is Remote Monitoring and Management Software for ITarian? Just like how MSPs are expected to consider their client’s budget, MSPs are responsible for their client’s IT system concerns. That means you need the tools to monitor and manage their endpoint environments efficiently and cost-effectively. Itarian’s RMM software lets you manage network endpoints, computers, mobile devices, and the entire IT infrastructure remotely from a centralized console. It delivers high-quality capabilities and it’s completely free. It does not get any more cost-effective than that. ITarian knows what is Remote Monitoring and Management software. Aside from that, ITarian have more software tools that can optimize the potential of RMM software. Please visit ITarian website for more details.